June 29, 2012  After the Supreme Court announced its health care decision Thursday, the stock market rewarded some companies and punished others. 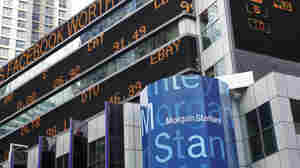 But by the end of the day, stock traders seemed to shrug off the ruling. June 27, 2012  U.S. law enforcement officials say 24 suspected computer hackers have been arrested in a sting operation. The FBI set up a fake online forum for people interested in trading credit card numbers and other financial information. June 15, 2012  Jurors in the insider trading trial of Rajat Gupta did not waste any time coming to the conclusion that he had violated the law. He was found guilty on four of six charges and faces up to 20 years in prison. Gupta was on the board at Goldman Sachs and managing director of McKinsey & Company. 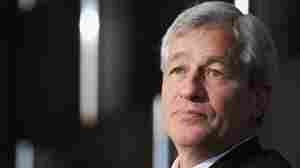 June 14, 2012  The chief executive of JPMorgan Chase, Jamie Dimon, was on Capitol Hill Wednesday, where he tried to explain his company's recent multibillion-dollar trading losses. Dimon told the Senate Banking Committee that the losses were indefensible. He also said the company may try to recover some of the compensation paid to the traders who were responsible. June 13, 2012  JPMorgan Chase CEO Jamie Dimon was on Capitol Hill Wednesday to answer questions about the surprise $2 billion trading loss the bank announced in May. June 8, 2012  The interest rate on the 10-year Treasury bond issued last week fell to 1.5 percent. That means, if you bought such a bond and inflation stayed about where it is now, you wouldn't make any money. The rates on Japanese and German debt are even lower. How Accurate Is Obama's Attack On Romney's Jobs Record? June 5, 2012  A new Obama campaign ad says Massachusetts had one of the country's worst economic records by the end of Mitt Romney's term as governor in 2007. 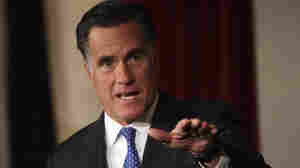 But the Romney campaign says the overall unemployment rate was still very low. Can both campaigns be right? We Got The Jobs Report, Now What? 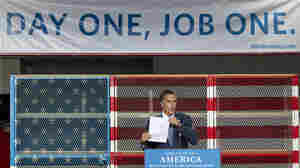 June 3, 2012  Friday's disappointing jobs report added to worries the recovery is in trouble. Only 69,000 new jobs were added to payrolls, and the unemployment rate moved higher, to 8.2 percent. Suddenly there is more talk about the Fed and what it might do to get the economy moving again. NPR's Jim Zarroli reports. May 28, 2012  President Barack Obama commemorated Memorial Day and the fiftieth anniversary of the Vietnam War on Monday. May 23, 2012  The fallout from Facebook's initial public offering continues to spread, moving from trading screens to potentially the courtroom. Some of the investors who bought shares of the company filed a lawsuit alleging that Facebook and underwriter Morgan Stanley concealed information about Facebook's expected performance. May 23, 2012  The Congressional Budget Office is warning the U.S. economy could fall back into a recession if Washington doesn't address the looming fiscal crisis. The Bush-era tax cuts are supposed to expire as is a temporary reduction in the payroll tax. Meanwhile, deep cuts in federal spending are supposed to take place if Congress and the White House can't agree on a debt-reduction plan. May 22, 2012  The insider trading trial of Rajat Gupta is underway in New York. Gupta is a former Goldman Sachs board member, who prosecutors say provided inside information to hedge fund manager Raj Rajaratnam. Gupta's lawyer told the jury that the case against his client was based on guesswork and speculation. May 21, 2012  Prosecutors say Rajat Gupta, a former member of the board of Goldman Sachs, passed on information about Goldman to billionaire Raj Rajaratnam, who is in prison for insider trading. Jury selection gets underway Monday. May 11, 2012  JPMorgan Chase was one of the few major banking companies to emerge from the financial crisis with its reputation intact. Now, with revelations that it lost at least $2 billion in a hedging strategy gone wrong, that reputation is in tatters. And analysts say the loss raises doubts about other U.S. banks.